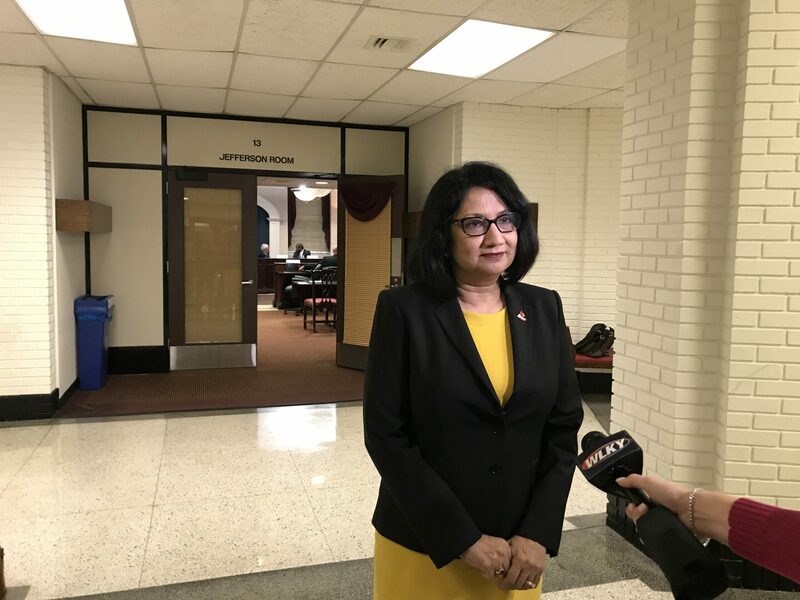 President Neeli Bendapudi announced Sept. 7 she’ll host a “Fireside Chat” Sept. 17 to discuss her vision for the university and the relationship with the surrounding area of West Louisville. The chat is the first of many talks that will be hosted by the U of L-Yearlings Club’s fall forum as part of the Signature Partnership Initiative. One of Bendapudi and other administrators’ biggest goals at U of L is to increase the transparency and inclusivity of the school. With the “Fireside Chat” Bendapudi aims to do just that. So far this year Bendapudi has planned events with students including move-in day and an ice-cream social early in the semester. She has also been spotted across campus sporting her U of L gear greeting students intermittently. She even braved the rain in her red poncho at the U of L versus Indiana State game, ringing the new bell as a way to kick off the new football season. Junior Jayla Verret said she’s is excited to see how the series can create a better relationship between campus and the community. “Its great actually seeing her around campus and in the community doing her best to fix a bad situation,” Verret said. Verret also said she’s excited to hear about U of L’s vision for a relationship with West Louisville. “Most people think of West Louisville as some ghetto full of crime and nothing more. But as someone who works there and has a family there, it’s great to see her want to create a better relationship with our whole city, not just our campus,” Verret said. Junior Andrew Wiemels said he’s optimistic about what Bendapudi brings to campus because of the events she’s planned so far. “I think events like these will help Bendapudi become more involved with students that any president before her,” Wiemels said. Students can lookout for Bendapudi in her bi-weekly notes and videos alongside other student-focused events throughout the year, to which she plans to increase student engagement. Bendapudi will be inaugurated as the 18th President of the University of Louisville Oct. 4.